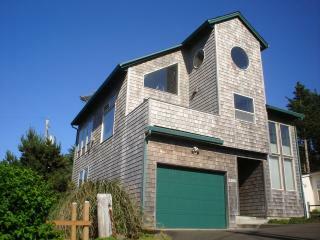 Looking for a great vacation rental home near the beach in Lincoln City Oregon? Here is a beautiful home with a great view of the ocean that is easy to rent. Lincoln City Oregon Govenment information - Lincoln City is located along seven miles of sandy beaches on the Central Oregon Coast. Nestled between the 680 acre scenic Devils Lake and the Pacific Ocean, it is supported by a variety of activities including beachcombing, crabbing, boating, hiking, fishing, hunting, shopping, kite flying, sand castle building and whale watching. For a list of current activities, see our Calendar of Events. Lincoln City Oregon Visitor & Convention Bureau- Consider Lincoln City as your next vacation site for pleasure, a meeting, a conference or business retreat, or a family reunion. We think you will be very impressed with our variety of lodging options. You''ll find everything from camping to 4 Diamond rated properties. 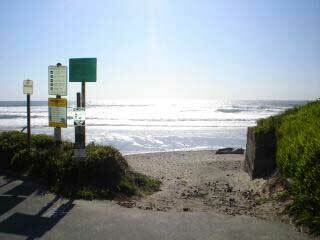 Plus Lincoln City offers no sales tax shopping sprees, recreational and cultural activities and plenty of fine dining.